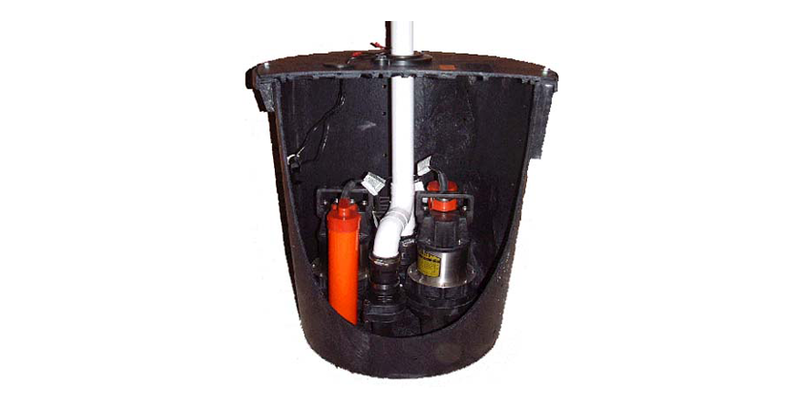 Triton recommends the use of two pumps in each sump to guard against mechanical failure. The Triton Aqua Pump Plus Kit comes with identical elements to the Triton Aqua Pump Kit with the addition of a second mains powered pump. This provides both back up to the first pump and increased capacity within the sump if required. To maximise capacity of the pumps they should be linked to separate discharge pipes.